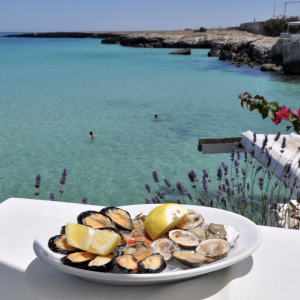 Puglia was recently named one of the “20 Places to See Now” by National Geographic Traveler. Riding our Puglia Bike Tour you’ll see landscapes that are steeped in Greek, Norman, and Arab history. In the heart is Matera, a village located in the Southern Italian region of Basilicata has been awarded the title of the 2019 European Capital of Culture in Italy. Marty has spent the last 5 years exploring Puglia’s cycling roads and now we have another “Jemison Cycling Tour” worthy of Five Stars ! 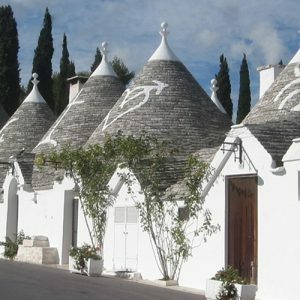 Puglia Bike Tour in Southern Italy is a richly cultural experience and the riding is fantastic. See yourself riding on tranquil roads and winding your way past old, stone villas snuggled in the rolling hills. Ride through 1,000 year old olive groves along the Adriatic Sea. We’ll ride into the heart of Puglia, uncovering medieval towns, artisan shops and family run cafes. 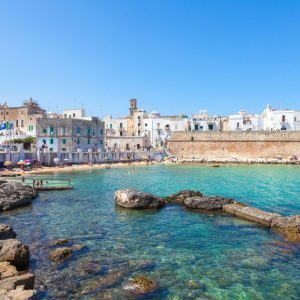 Ride through Monopoli, Polignano, Alberobello, Ostuni, Brindisi, Otranto, Lecce, Leuca, Matera, Montescaglioso & more… Puglia Bike Tour! If you have a passion for a Mediterranean diet, this is the trip for you. The Adriatic Sea provides wonderful seafood. Puglia is known for incredible food and lives up to it’s reputation night after glorious night. Enjoy some of our local favorites of fresh vegetables, fish and meats. A perfect combination of riding – culture – food and wine, make this trip special. Monopoli – A white washed fishing village on the Adriatic Sea. Matera – Known as “la Città Sotterranea” (the Subterranean City), Matera is well known for its historical center called the “Sassi“, a World Heritage Site of UNESCO since 1993. 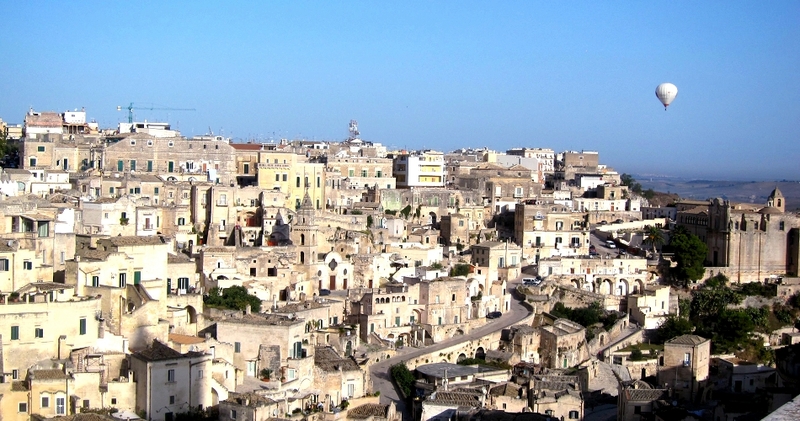 Read about Matera in the New Yorker and how it became the Arts & Cultural capitol of Europe. 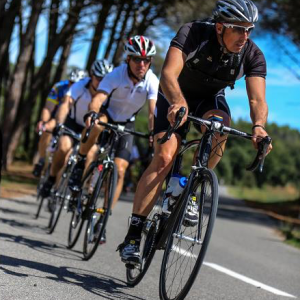 Our trips are for “lifestyle” cyclists that love to ride. 40-60 miles per day average. 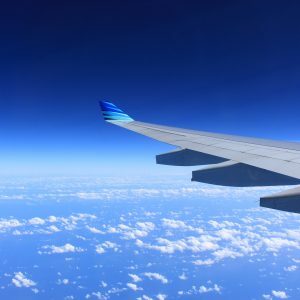 IS THIS A GOOD TRIP FOR A NON-RIDER? If your companion rides only a small amount we offer shorter rides. 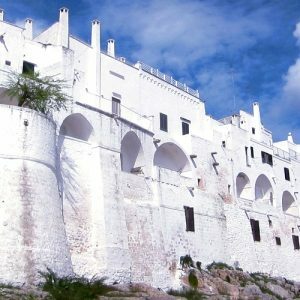 This is a great trip for non-cyclists, and the best of Bike Puglia can be experienced in each of the towns we stay in without riding. We are looking forward to sharing our 20 years of knowledge and experiences with you. We have a multi-lingual staff that understands both American & European culture. Service & Safety are our top priority to provide you with a seemless vacation. Small groups provide a comfortable and personal experience. Learn more about the tour!